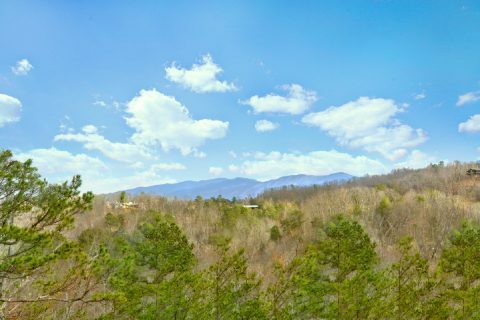 Located in the scenic Caton's Chapel area of the Smoky Mountains, you'll find "Heaven's Gift," a beautiful 2 bedroom Sevierville cabin that's only a short drive from Dollywood Theme Park! 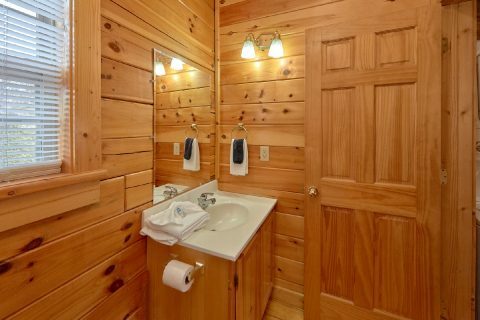 This cabin's secluded location a short drive from Upper Middle Creek road ensures you can enjoy plenty of peace and privacy during your Smoky Mountains vacation. 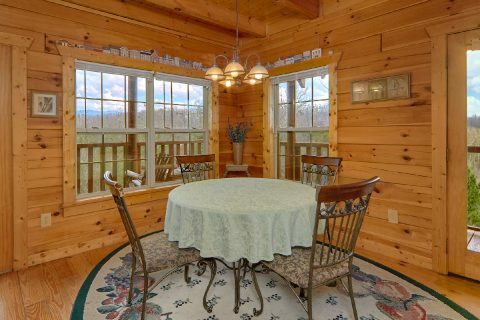 Better yet, this cabin is less than 10 miles from Pigeon Forge and Gatlinburg, so guests of this rental can stay close to all the action. 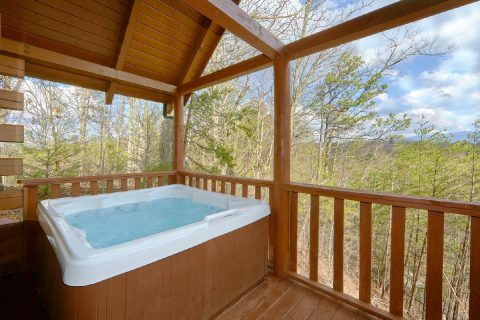 When you aren't busy riding thrilling coasters at Dollywood or exploring the fun attractions of the Pigeon Forge Parkway, you'll love unwinding at this secluded cabin that boasts a lovely mountain view. 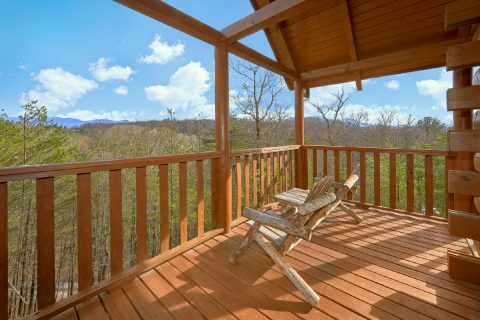 From this cabin's deck, you can enjoy a scenic view of the treetops and mountains rising up in the distance while you sit back in the warm waters of the hot tub or rocking chair. 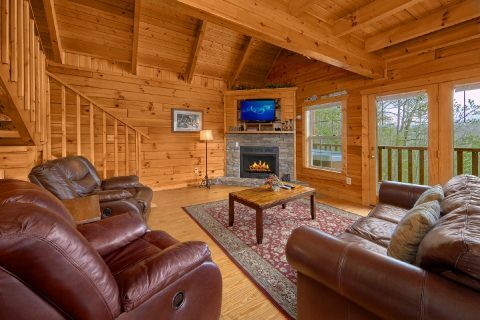 Inside "Heaven's Gift," you'll find a welcoming living room area that comes complete with an inviting gas fireplace, comfortable furnishings, and a television. 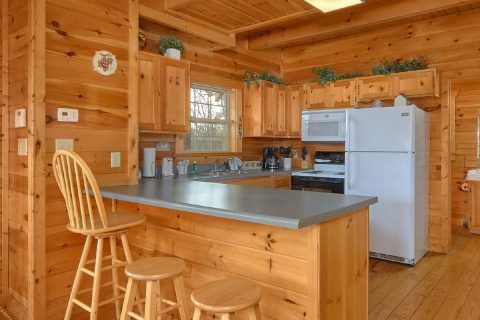 Nearby, your cabin's full kitchen gives you the option of cooking cost-effective meals during your stay. 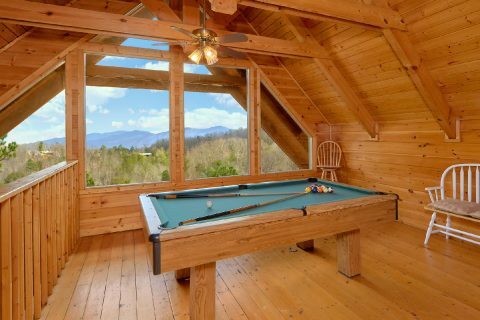 For some in-cabin entertainment, you can always enjoy some friendly competition on the billiards table in the upstairs loft. This loft even boasts large picture windows, so you can enjoy beautiful mountain views while you play pool! 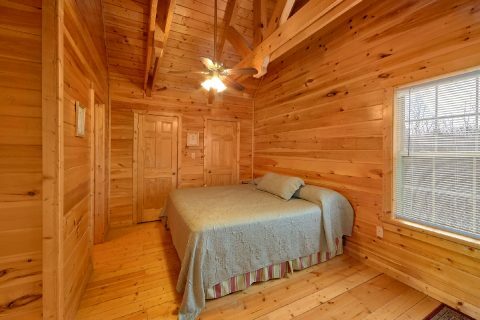 Once you're ready to get some sleep during your stay, you can look forward to sleeping in one of this cabin's 2 bedrooms. 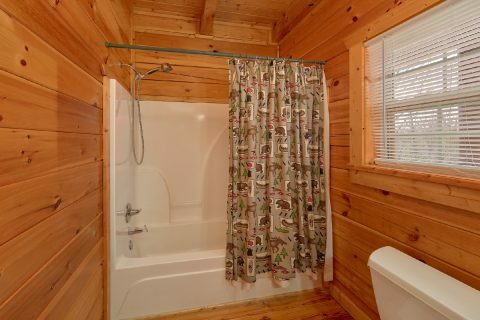 On the main level, you'll find a comfortable queen bedroom. Nearby in the living room, there's a sleeper sofa for extra guests. 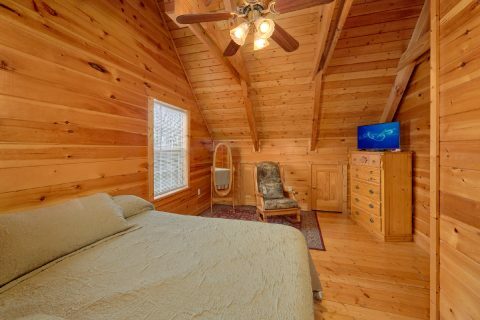 The upper level provides a private king bedroom with a television and a private bathroom. 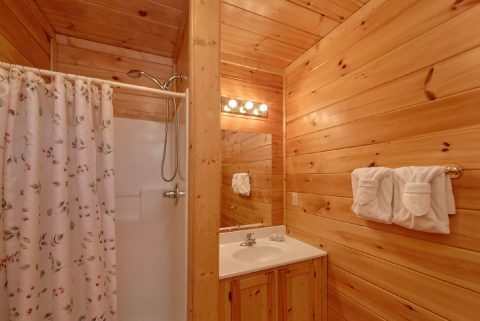 Altogether, this affordable cabin accommodates up to 6 guests in comfort. 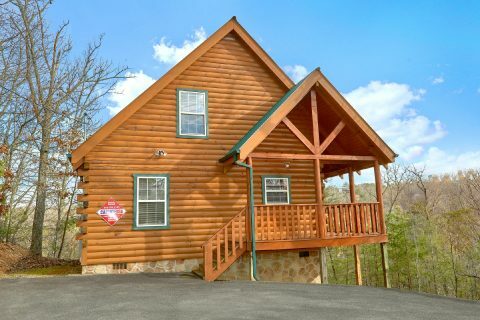 Lastly, "Heaven's Gift" provides practical amenities like a washer/dryer & a charcoal grill for guests to use during their stay. 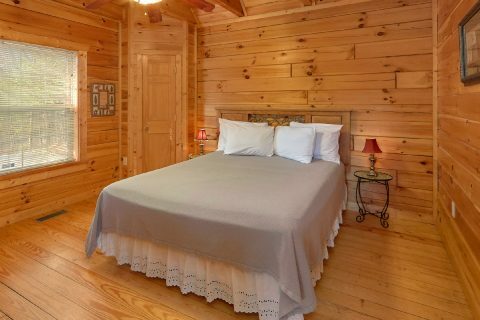 Book this affordable cabin in a secluded location today with Cabins USA to earn a special 15% discount on your nightly rate! 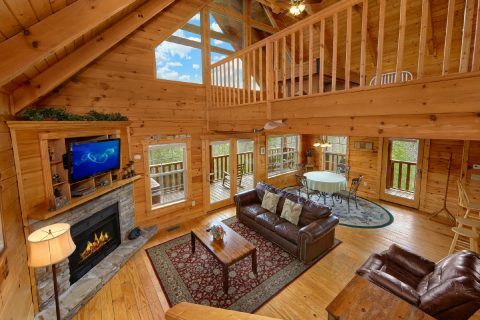 Simply check this cabin's availability today to see how much you can save on your getaway in the Smokies!